Shortly after being ordained on June 18, 1922, Fr. Andrew Beros was given the task of founding a new parish in Lore City. The work of building the church began in April of 1923, and the new church was dedicated on May 28, 1924. The parishioners provided most of the building labor and were predominantly Slovak. They brought with them a deep faith, cooperative spirit, and a solid work ethic. About 100 families were registered and walked along dirt roads to attend Mass. Under the administration of Fr. John Jackson (1945-1952) the solemn blessing of a new liturgical altar took place on Easter, 1946. The Parish Homecoming Festival also started in 1946 and was a popular annual attraction through 1998. The social hall facility was constructed in 1948. In 1950, St. Andrew on the Lake was established as a mission to serve the many vacationers during the summer months. Also during this time, Sts. 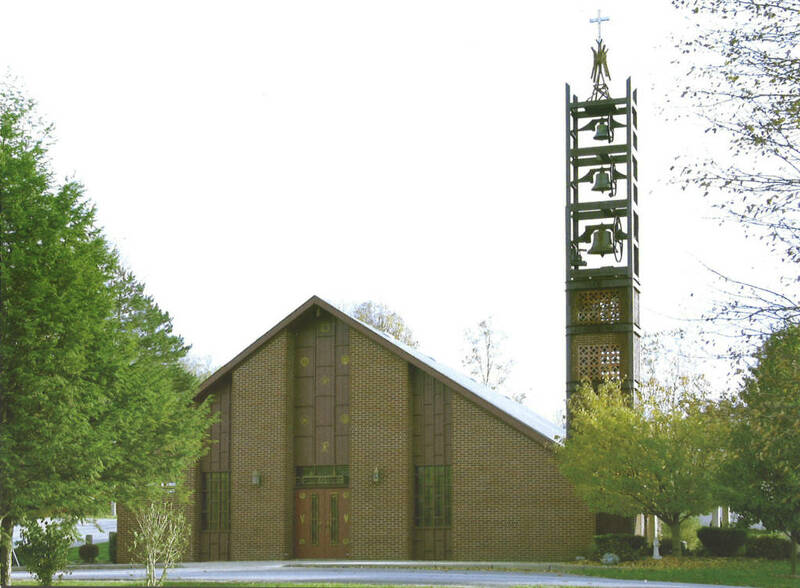 Peter & Paul Parish joined with Holy Trinity Parish in Byesville to build a Central Elementary School. The school closed at the conclusion of the 1999-2000 academic year. It was during the tenure of Fr. Donal O'Carroll (1959-1971) that Guernsey Catholic Central High School was constructed in 1964 to serve Sts. Peter & Paul, Holy Trinity, and St. Benedict parishes. Under the guidance and personal labor of Fr. David Reasbeck (1971-1978) the interior of the church was remodeled. Land was purchased in 1976 for construction of a new rectory, and construction began in 1977 for the pavilion. Once again, the parishioners provided the manual labor. In 2003, Sts. Peter & Paul Parish and St. Benedict Parish were combined as one parish, with Fr. Robert Borer assigned as pastor of the combined parish. Then, in 2009, all three of the Guernsey County parishes were reconstituted as one new parish, called Christ Our Light Parish.